Mr. Armitage has served on ManTech’s Board of Directors since 2005, after having served for six years on the company’s Advisory Board. Since 2005, Mr. Armitage has served as president of Armitage International, L.C., which provides critical support in international business development, strategic planning and problem solving to multinational clients. From 2001 through 2005, Mr. Armitage served as the deputy secretary of state for the U.S. State Department, and prior to that assignment, he was president of Armitage Associates, L.C., a worldwide business and public policy firm. Beginning in the late 1980s, Mr. Armitage held a variety of high-ranking diplomatic positions, including presidential special negotiator for the Philippines Military Bases Agreement; special mediator for water in the Middle East; special emissary to Jordan's King Hussein during the 1991 Gulf War; and an ambassador directing U.S. assistance to the new independent states of the former Soviet Union. Mr. Armitage also served as former assistant secretary of defense for International Security Affairs and is a former assistant secretary of defense with the Defense Department for East Asia and Pacific Affairs. He has received numerous U.S. military decorations and was awarded the Department of Defense Medal for Distinguished Public Service four times. He has received the Presidential Citizens Medal and the State Department’s Distinguished Honor Award. In 2005, he was awarded a KBE and became a Knight Commander of the Order of St. Michael and St. George. Mr. Armitage was also appointed as an honorary companion to the Order of Australia (Australian Knighthood) and an honorary companion of the New Zealand Order of Merit. In 2015, Mr. Armitage was awarded the Grand Cordon of the Order of the Rising Sun from Japan. 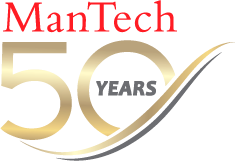 2019 © ManTech International Corporation. All rights reserved.